Westminster’s programme of sport, known within the school as Station, offers pupils a choice of more than 25 different sporting activities. We have the unusual feature that all pupils have a free choice as to which sports they participate in. Two afternoons are dedicated to Station each week on Tuesdays and Thursdays; however, pupils may sometimes be involved at other times for additional fitness training, matches and competitions. We are extremely fortunate, in the centre of London, to have a great deal of outdoor space for sport: pupils have a shooting gallery and several fives courts in addition to our playing fields at Vincent Square. 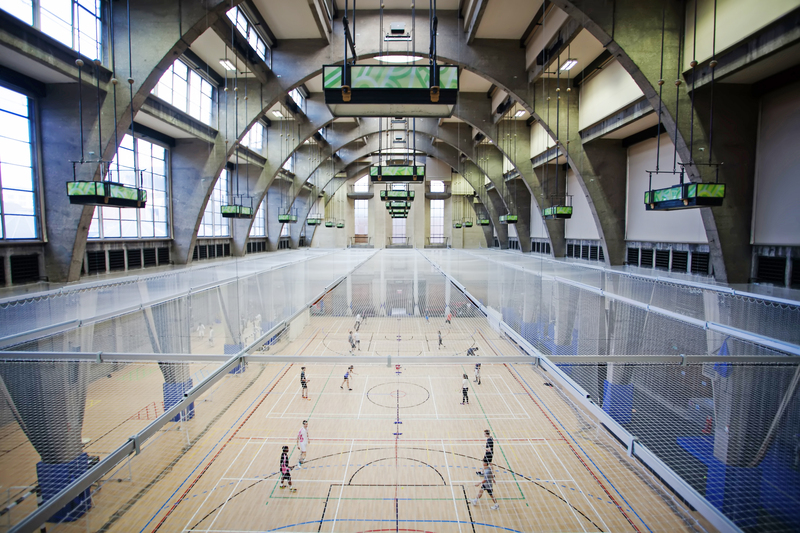 We also have a wonderful Sports Centre that offers over 6,000m² of indoor space, housing a multi-use movement studio, a rowing training suite, fencing pistes, indoor cricket nets, a fully equipped gym, two climbing walls, a Judoka and a table tennis area and courts for basketball, netball, five-a-side football, volleyball, hockey and badminton. The pupils benefit from the involvement of professional coaches, several of whom have represented their countries in international matches and competitions, including the Olympic Games. This is an enormous asset to us, particularly when it comes to preparing our pupils to represent the school in local, national and international events. Competing has led our footballers to France, our cricketers to Barbados and our rowers across the globe, often to great success. Recent sporting triumphs include our rowers completing the ‘Double Double’ of winning the Schools Head and National Schools in both 2015 and 2016; our U15s winning the Independent Schools Tennis Championships in 2015, the Cross-Country Team becoming the 2016 London Schools’ Champions in both the Senior Boys and Junior Boys categories; and our cricketers winning the 2016 London Schools Under 19 Cup. In addition to the health benefits of regular exercise and the enjoyment our pupils find in playing sport, we also know that our Station programme is giving pupils the opportunity to gain important life skills. Qualities such as time-management, determination, commitment and initiative can be developed through competing against other individuals and teams, in addition to learning how to be both gracious winners and good losers.